Everyone could use a good clock. But finding a good clock that suits a theme can be slightly more difficult, and finding a good clock that fits into a nautical theme could be even more difficult than normal. But we have all the nautical clocks in this category here, easily gathered for you. As far as nautical decor goes, these nautical clocks fit right in. There is very little mistaking what these clocks are, or what they were before they were clocks. 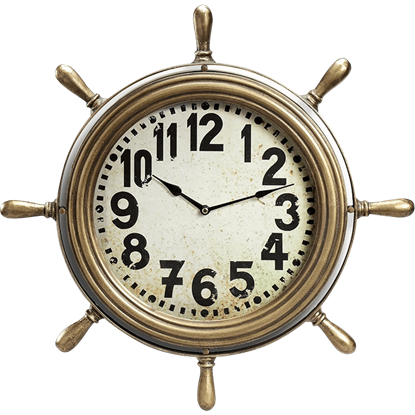 Some of our most popular nautical clocks are made in the appearance of ship wheels and come in a variety of sizes, ranging from 1 to 2 feet in diameter. Adding a touch of authenticity to our nautical clocks is the fact that many of them are constructed from woods that were, and still are, used for actual shipbuilding. Most of our nautical clocks are battery-powered. 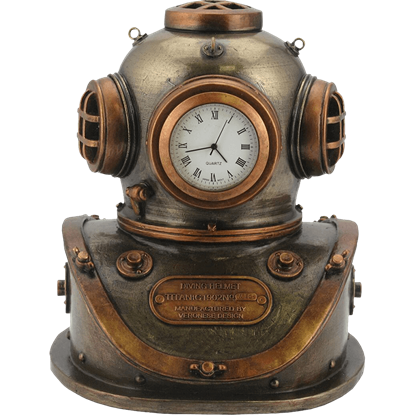 Our nautical clocks fit in great with much of our other offered nautical decor, and they are an impressive item to feature in a room with a ship, sea, or nautically-oriented theme. 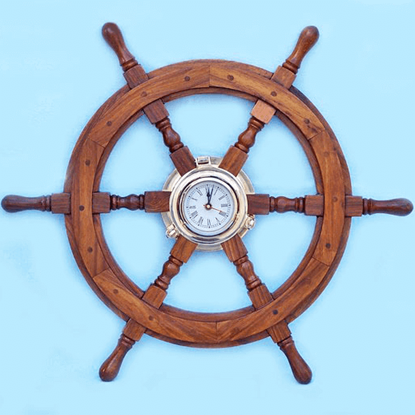 So if you have space on the wall, you might have room for one of our ship wheel nautical clocks. 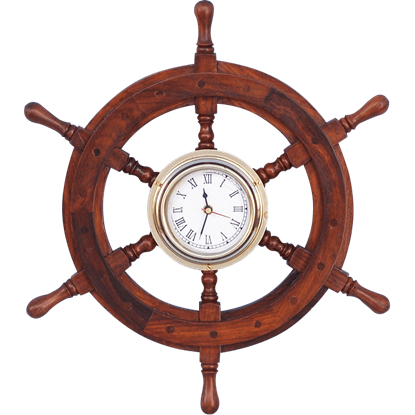 The 12-Inch Ship Wheel Clock is made out of real shisham hardwood, giving it great authenticity, and is a great addition to any home and office as a nautical decoration or an interesting, esoteric piece to spark conversations. The 24-Inch Ship Wheel Clock is made out of real shisham hardwood, giving it great authenticity, and is a great addition to any home and office as a nautical decoration or an interesting, esoteric piece to spark conversations. Display your love of the deep blue with excellent nautical decor like the Ship Wheel Wall Clock! Sailors and landlubbers alike can appreciate the design of this maritime clock, which shows spokes emerging from the rim of the wheel.